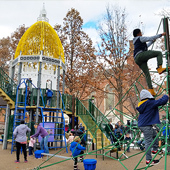 We're excited to announce that the Bushnell Park Playground design has been selected to receive the Award of Merit in the 2019 Connecticut Building Congress (CBC) Project Team Awards competition in the Landscape Architecture/Public Spaces category! 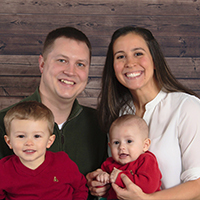 Please join us in welcoming Emily Weckman to the busy To Design Team! 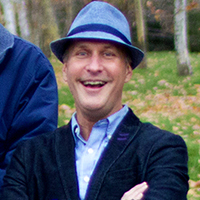 Principal Mark Fisher is moving forward from his 18 years here at To Design. Join us in wishing him well. 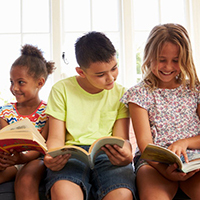 During the past holiday season, the To Design team donated to Read to Grow, a Connecticut-based non-profit organization with a mission of promoting language skills/literacy for children starting at birth, as well as supporting parents as their child's first teachers. Our toy drive was a success! 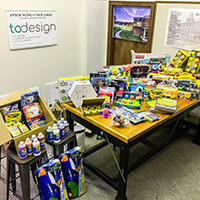 Thank you to all of our clients and friends for donating to this effort. 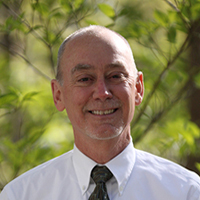 We are proud to announce that Principal Phil Barlow has been appointed by Kristina Newman-Scott, State Historic Preservation Officer/Director to the State of Connecticut, Historic Preservation Review Board to fill the Historical Landscape Architect position, previously held by Rudy Favretti FASLA. We wish Rudy our best in his retirement! 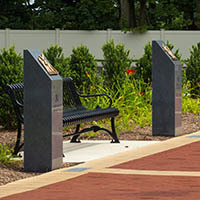 We're pleased to announce that our design of the St. Paul Parish Prayer Garden and Campus Green received a first place 2018 Project Team Award in the Landscape Architecture/Public Spaces category from Connecticut Building Congress. 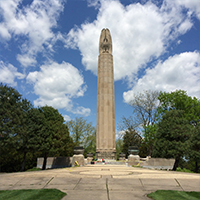 To Design recently received a 2018 Merit Award from the CT Trust for Historic Preservation for our work with the City of New Britain on multiple memorial rehabilitation projects. 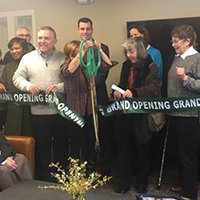 The renovation of 40 senior housing units at Elm Grove Apartments was celebrated last week in West Hartford with a tour and ribbon cutting. TO Design provided site design for this year-long project. Park Street Library in Hartford - Approved! 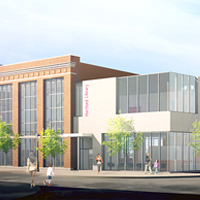 We've recently received approvals from various municipal boards for the new Park Street Library in Hartford.